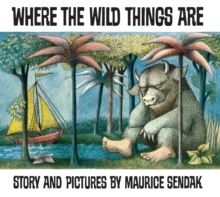 That night a forest begins to grow in Max's room and an ocean rushes by with a boat to take Max to the place where the wild things are. Max tames the wild things and crowns himself as their king, and then the wild rumpus begins! But when Max has sent the monsters to bed, and everything is quiet, he starts to feel lonely and realises it is time to sail home to the place where someone loves him best of all.